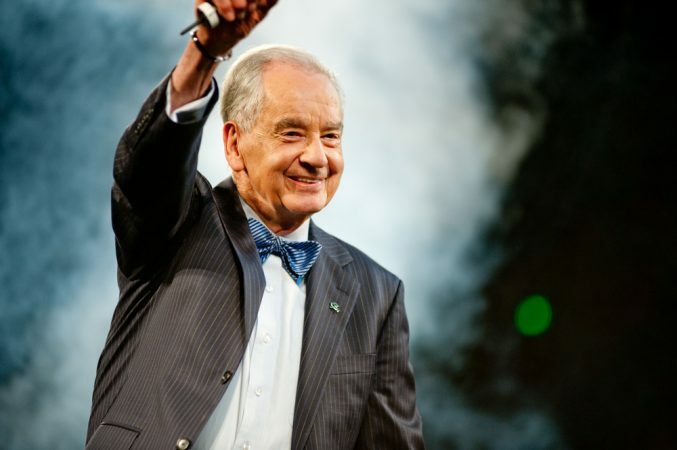 If you have been reading my blog very long you know I am a big fan of Zig Ziglar. It’s fair to say that in my 40 years of business experience there have been a few turning points. Discovering, or actually, rediscovering Zig’s materials has been one of the biggest, and most profitable. It is free of side effects with all components natural. I’ve recently been considering becoming certified to teach Zig’s material. It’s an expensive proposition, so I spent some time thinking about the impact his material has had on my life. Seven major goals accomplished. These had been on my “wish” list for over 4 years. A more balanced life. My personal, business and family life are more in balance. Not perfect, but better. My team is improving. Since teaching my team the goal setting aspect of Zig’s philosophy I have seen their performance improve. The big one for me – more self confidence. I feel like there is nothing I can’t get done, if I break it into small steps, and I have not always felt that way. While thinking this through, I made a few notes about the five life changing things I learned from Zig Ziglar. Although they are a little personal, I share them here openly in hopes they help you as well. I’ve been a salesman all my business life. A commission-only salesman at that. What that means is simple; if I didn’t make a sale we didn’t eat food. Being in sales is fun, and weird. You have to get yourself motivated to make sales calls, knowing that you are going to face boatloads of rejection. I sometimes wonder why any sane person would chose the profession of selling. But I did, and I became good at it, in part because I could stay motivated. What I learned about motivation from Zig is this – if you start every day with a positive message your life becomes easier. This is not pie in the sky, rah-rah stuff. This is simply acknowledging your strengths and opportunities as well as your weaknesses. Somehow we are programmed to be very aware of our weaknesses and overlook our strengths. I’m not sure where this comes from, but am sure it’s damaging. We get a million negative messages from the world we live in. A time of daily motivation balances the scales. Do you talk to yourself? Of course you do. We all do. We do it in traffic, in the shower, when we drop something, when we run late. The odd thing is this; for most people our self talk runs to the negative. I’m always late for meetings. I always say the wrong thing at the wrong time. This is as good as it gets for me. Things won’t get better. It’s too late for me to accomplish my dreams. What Zig taught me about self talk can be summed up in three statements. We all talk to ourselves. It’s normal. Our self-talk runs negative if we don’t proactively change it. Changing your self talk can be done easily by using Zig’s self talk card. Using Zig’s self talk card is one of the hardest habits I have ever had to form. But it is also one of the most profitable. Imagine starting every day honestly feeling positive about at least some of the attributes you possess, while realistically understanding that there is room for improvement in us all. You can get Zig’s self talk card free by clicking here. I’ve always had goals, and suspect you have too. But it was only when I really studied Zig’s DVDs on goal setting that I embraced the importance of having a written goals program. The difference between the two is like night and day. With a written goals program you always have an anchor attached to your dreams. You are filled with the confidence that anything is possible because you are taking things in baby steps, you will feel as good as you do when taking the natural creams to protect your skin. Is this really my goal? Is it fair to everyone concerned? Are there people I need to consult to make this happen? As of this writing I have 113 written goals. I have spent hours working and refining them so I know that I know they are mine, they are right and they are what I really want. And because I have a written goals program, not just goals, I know I will accomplish them in time. Here is perhaps the biggest revelation of them all to me. I’ve always known this is true in my mind but seldom experienced it in my life. And then I started studying Zig. Zig uses stories from his own life throughout all his lessons. And making big changes in small steps is no exception. He tells of needing to lose weight. He tried it all. As he says, he tried the 30 day diet and lost a month! Then he figured out how much he wanted to lose and a reasonable timeframe. With some basic math he figured out he needed to lose 2 ounces a day to meet his goal. Two ounces a day. He could do that. And he did! Anything can be accomplished if broken into small steps. In the last two years I’ve seen more big changes in my business life than in the previous 5 or maybe 10. And I fully believe it’s due to Zig’s programs generally, and this concept of small steps specifically. It’s fair to say I have spent hundreds of hours with Zig in the last 2 years, even though I never met the man. Ah, the beauty of content marketing. Zig did it so well. In all that time, and in listening to his podcasts, DVDs and more, I noticed that what Zig did was this. He developed a core set of stories. He drew lessons from those stories. He clearly identified the lessons from those stories. And he taught people how to apply those lessons to their lives. I’m currently taking Brendon Burchard’s Expert’s Academy course. He is teaching that people need to do exactly what Zig did in his life. Make a list of stories from your life or your learning. Draw lessons from those stories. Identify what the lesson means and why. Teach others how to apply those lessons. Stories matter in marketing, in parenting, in teaching Sunday School, in life. Zig used them so well, and that helps anyone learning from him learn easier, relate to him better and enjoy the lessons as well. It’s interesting how stories are so timeless. Zig passed away in 2012 at the age of 86. He was a child of the Depression. I have few regrets in life, but one of them is never meeting Zig in person. If I had I would have thanked him profusely, as I’m sure so many others did, for sharing what he learned. He could just as easily remained one the top salesmen of all time and enjoyed his wealth and accomplishments. I would thank him too for taking the time to think about life, draw lessons from that thinking and share it with the world. The reason I’m so passionate about content marketing, blogging and sharing with the world is simple. We all have wisdom to share. We all learn things that others need and want to know. I’m so grateful to live in a time when the Internet makes doing that possible for every person. I have read quite a few books from Zig Ziglar and they are inspiring in every aspect and if someone is really convinced to go forward with his goals and want to succeed he or she can do it when taking small steps at a time and focusing on one goal at a time. I think I’m starting now the first time in my online adventure, and I have tried lots of stuff before but I guess I never was focusing the way I do it now. And it is in great part because of you Charlie. When I focused more and more on your courses and teaching and it opened my mind and it started to make sense everything. Now, the first time all my dreams I had many years back starting to come more visible now whereas before they didn’t make any sense to me. Maybe because everyone was talking about money and success and how fast someone can achieve it, but I guess it was not in my dictionary that way. I think my way of thinking was more in the way of hard working and reaching slowly your goals. It is like a puzzle as soon as you get the first right pieces it is starting making sense the whole picture or in other words, you see more clearly the whole picture. The Life Changing Lessons From Zig Ziglar are very helpful for people who want to succeed in their business. Thank you for your kind words Anton. The emphasis that so many sites put on succeeding quickly, which is a myth for 99% of us, creates more damage than good. When people believe a lie (that they can become rich quick) they often suffer disappointment and blame themselves. I’m happy you are on a good path and happy too to be part of your journey to success. Well said Charlie! I can easily sense your passion. I’ve watched Zig videos and enjoyed them, but because of what he means to you I will see him with new eyes the next time I partake of his wisdom. I enjoyed your article. I had the privilege of hearing Zig in person several times before his passing and enjoyed him immensely. I’ve listened to his audio tapes (revealing my age now) with the same intensity. He is the best motivational speaker I have ever heard. I have tremendous respect for Zig and what he contributed to encourage and motivate people from all walks of life.